IKS Locksmiths are trusted Master Locksmiths servicing Crouch End and the surrounding area. We are Fully Qualified and CRB checked Locksmiths who offer fast response and high quality workmanship and excellent service in Crouch End. Are you locked out?Do you need a free security survey of your property?Do you need expert security advice? We operate a 24/7 response service! Why should you Choose IKS Locksmiths? IKS are specialist locksmiths working in Crouch End and surrounding area. This means locks and physical security are our area of expertise. We don’t diversify; we focus on knowing everything there is to know about locks and grilles. We would always recommend choosing a business who specialises in a particular area as they are more likely to be experts in their field. If you are looking for an Alarm for your property choose an Alarm specialist, if you are looking for CCTV choose a CCTV specialist, for locks choose a specialist locksmith in your area. The specialist you choose should be approved by the main governing organisation for the industry. For Locksmiths this is the MLA (Master Locksmith Association). 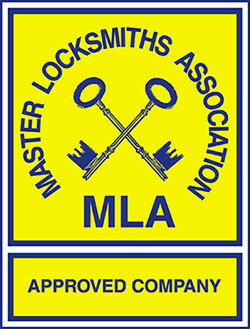 Unlike many locksmiths in Crouch End we are MLA approved. Only a specialist locksmith will be MLA approved as it involves dedication and commitment. 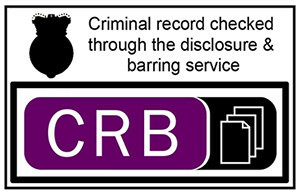 The CRB check logo looks like this. It is important that anyone dealing with a highly sensitive area like property security is CRB checked. You may be surprised to know that it isn’t a legal requirement for a locksmith to be CRB checked! We proudly display both of these logos. 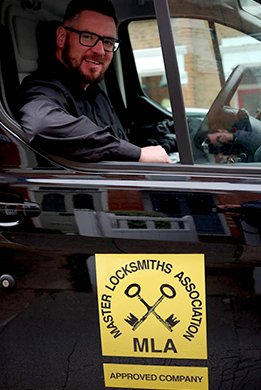 IKS are a 24 hour locksmith in Crouch End and being local we aim for quick response times. We know that when you’re locked out time is of the essence. We service areas that are local to us and give realistic arrival times in emergency situations. If you are looking for a Crouch End locksmith with no call out charge, look no further. We charge only for the work that we complete and the parts required. This should be a standard policy with all locksmiths but unfortunately it’s not always the case. If you’re shopping around Crouch End Locksmiths (and it is advisable to shop around) please do call us for a free security survey. We would welcome the opportunity to assess your security requirements and inform you of the options available.